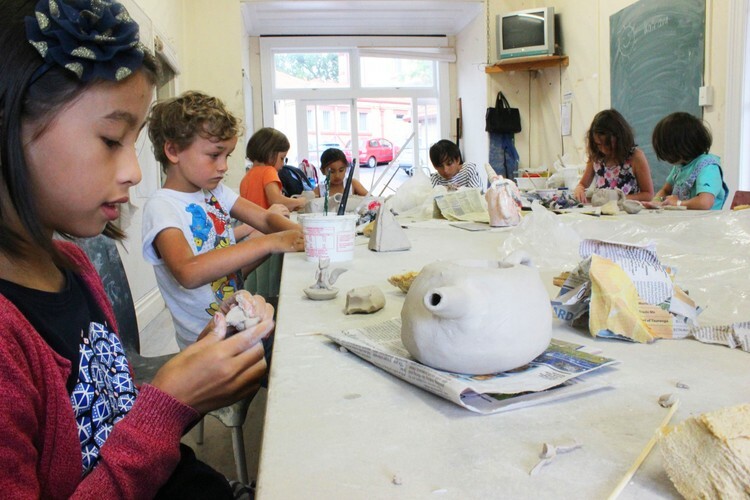 All kinds of unusual and unique shapes of functional tea pots will be made in this creative pottery class, for example a rocket teapot ready to start for its journey to Mars, or what about a teapot shaped like an octopus with one arm for a spout? We will also have time to hand-build cups and sugar bowls matching our tea set. You can also have a go on pottery wheel to learn and enjoy the process of throwing small vessels. Everything will be glazed and fired to turn it into fully functional tableware. Ages 7 - 14. Materials and firings included. Class 12 max.